Glenmorangie has launched Bond House No 1, an exclusive collection of vintage single malt whiskies. The inaugural expression of the collection, Grand Vintage Malt 1990, tells the story of a memorable year in the history of the Distillery. Glenmorangie’s continual quest for excellence in crafting and ageing whisky has inspired the creation of a collection of vintage whiskies that blend tradition and innovation. Created for connoisseurs and collectors, the collection celebrates the most prestigious aged whisky. The first release in the collection is Grand Vintage Malt 1990, a memorable year for Glenmorangie. It was in 1990 that Warehouse No 1, where the Distillery’s casks of maturing spirit were kept, was transformed into a majestic still house, renowned today for having the tallest stills in Scotland. 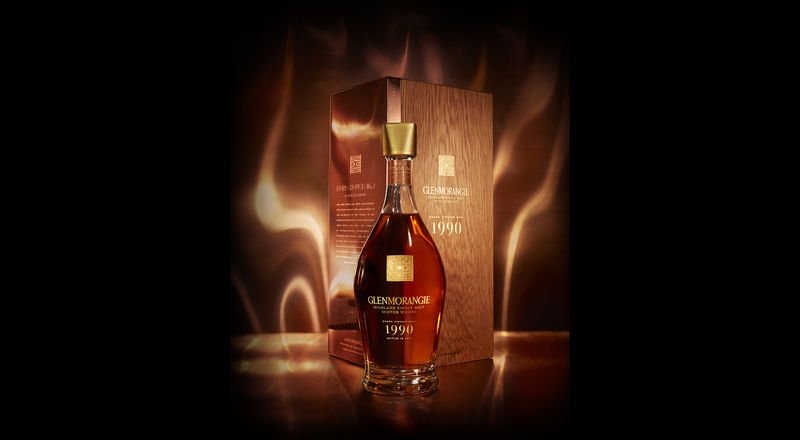 The year 1990 was also known for a barley harvest that proved problematic for whisky makers. Despite the challenges, Glenmorangie nurtured the spirit to create a whisky defined by its elegance and overflowing with floral and fruity aromas. Aged for 25 years in ex-bourbon and ex-sherry casks, the vintage is the first expression of a collection that will be joined by other unique single malt whiskies in the years ahead.